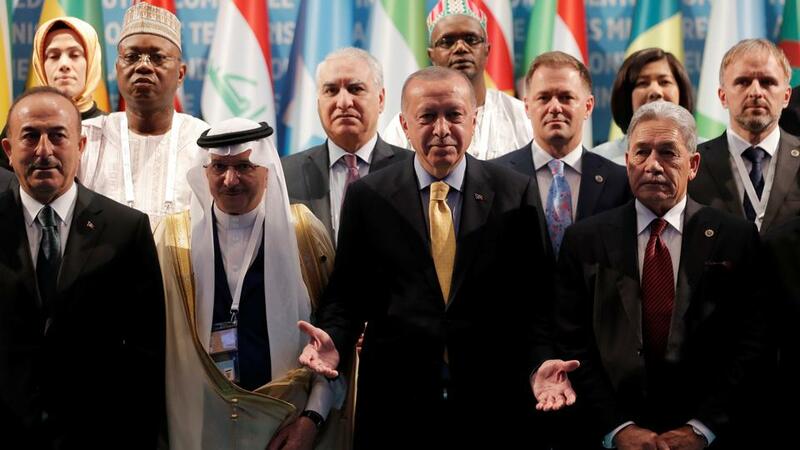 Addressing a meeting in Istanbul of Muslim countries, Turkish President Recep Tayyip Erdogan called on the world to fight Islamophobia in the same way it fought anti-Semitism after the World War II Holocaust. Erdogan also praised New Zealand’s Prime Minister Jacinda Ardern’s reaction to the terror attacks, calling it a model for all leaders around the world. “Humanity should fight Islamophobia with same determination it fought anti-Semitism after the Holocaust,” Erdogan said. Social media is being exploited to spread bigotry while many political movements either openly admit to being neo-Nazi or are “lip-syncing their words,” he added. He also pledged to make all places of worship a safe and secure place against far-right bigotry. President Erdogan was speaking at a meeting of the Organization of Islamic Cooperation (OIC) in Istanbul to discuss last week’s twin terrorist attacks on two New Zealand mosques that killed at least 50 Muslim worshippers during Friday prayers, President Erdogan said that Muslim nations must take action against developments threatening the future of humanity.